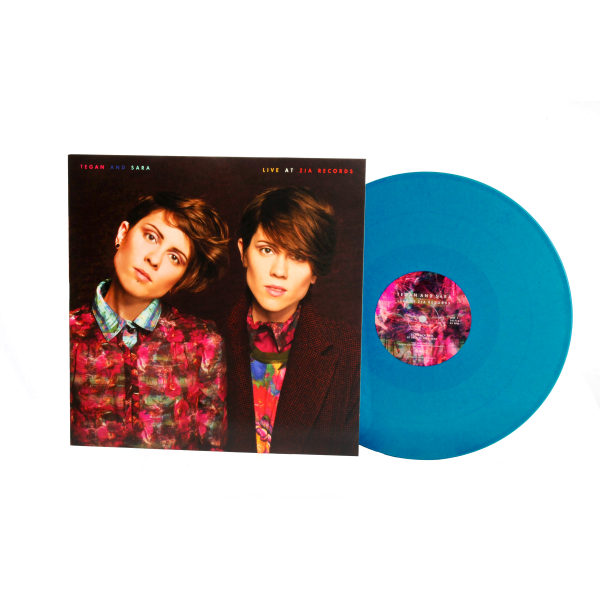 On Tuesday September 10, 2013, Tegan and Sara recorded the music featured on this Record Store Day exclusive at ZIA Record Exchange in Phoenix, Arizona. This special LP includes tracks from their most recent release, Heartthrob (2013) and their hit album The Con (2007). Tegan and Sara's 14-year career has seen them build an avid global following of fans and fellow musicians alike. Their unique ability to bridge the pop and indie worlds has allowed their music to cross all traditional boundaries of genre, from being covered by The White Stripes to collaborating with superstar DJs such as Tiesto and David Guetta. Aqua Blue LP limited to 4500 copies.